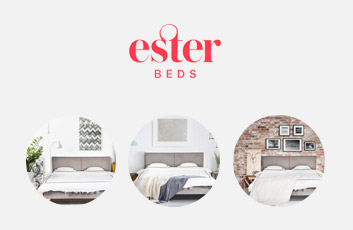 At Ester Beds you can by your new bed online. Without any hassle. Your bed gets delivered within 5 working days, and you have a test period of 100 days including free return.